How to Get Paid Far More Than You are Worth! Give yourself a raise… a HUGE one! Who put the "Great" in Alexander the Great? Most would claim it was Aristotle. Alexander took what he learned from this famous mentor, Aristotle, and became one of the most accomplished conquerors of all time. But my message to you today isn't about Alexander the Great. It's about a different kind of conqueror. Dr. Gary S. Goodman became an "income conqueror" with the help of his brilliant teacher, MBA professor and mentor Peter F. Drucker. Drucker is considered by many to be one of the greatest business minds in the past 100 years. Like Alexander, Dr. Goodman has leveraged what he learned from his wise teacher to become a master at generating high income. 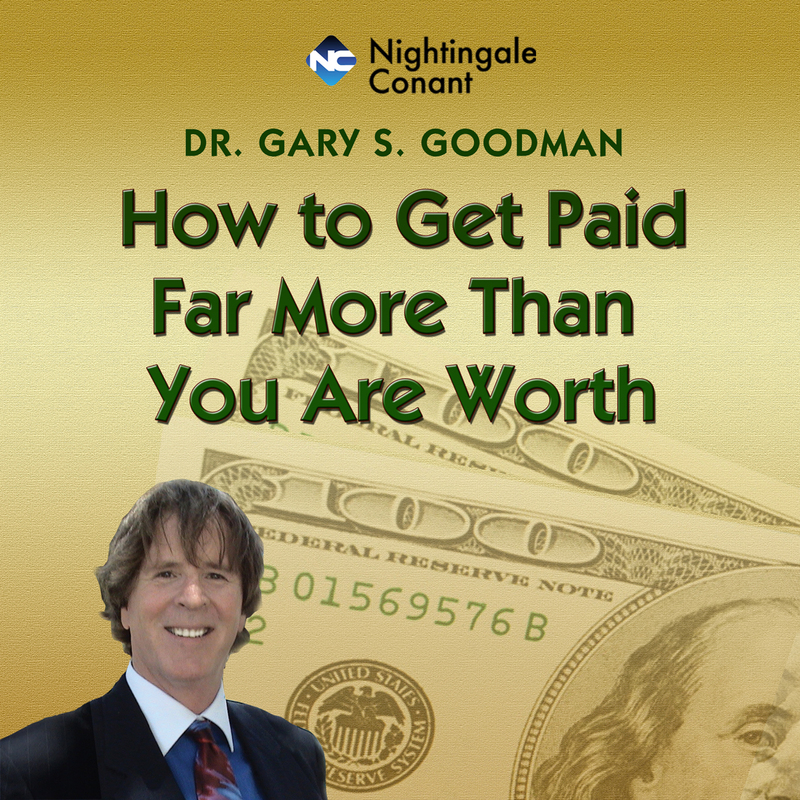 After a lucrative career, Dr. Goodman has turned his attention to teaching others how to give themselves a huge raise. I'm excited to share his secrets with you in the form of this exciting and practical new release. It's true, great teachers can be the stepping-stone to remarkable levels of achievement. One of my favorite Zen quotes is, "When the student is ready, the teacher will appear." Are you a student ready for a 'big raise' teacher? If your answer is "yes," then Dr. Gary Goodman can help get you there. His approach is practical, effective, easy to learn, and proven. Dr. Goodman's new program, How To Get Paid Far More Than You are Worth!, provides an exceptional real-world approach to raising your income in today's ever-changing marketplace. Yes, please send me Dr. Gary Goodman's NEW breakthrough 5-CD audio program, How to Get Paid Far More Than You are Worth! How to start at the bottom and still become wealthy! Money is everywhere. There's no shortage of it, except perhaps in your pocket or bank account. You need to see that as a temporary condition! You may not have the income you want, but you don't have to stay that way. Dr. Srully Blotnick did some fascinating research. He studied a group of a few hundred people over 20 years. Some got rich and were paid more than they were worth. Others didn't. What were the traits of those who became wealthy? Were they more educated? Did they all go into technology businesses or financial services as these sectors were booming? They got rich in all walks of life and in many diverse industries. By applying what you hear in How to Get Paid Far More Than You Are Worth!, you can join the ranks of these individuals and out-earn your peers. You'll learn the surefire methods they used that can successfully transport you from rags to riches. The business world typically works on the premise of cost containment, keeping a lid on salaries and perks for most people. Don't let a company, or the marketplace, define your worth! Employers strive to pay so little that they won't lose even if they hire a dolt, a dud, or a ne'er-do-well. Employees, on the other hand, seek the highest possible wages to fund a decent lifestyle. To help you live this lifestyle, there are ways to get employers to understand giving you a dramatic raise is in THEIR best interest. What your employer knows that you don't is there's room in every industry for people to get rich in their own unique ways. You don't have to enter a hot industry or be in the right place at the right time. You will learn simple, yet powerful techniques that can help you become a top income earner… even the top income earner… in your company or field. I need to live better now! Research has proven that what holds most people back is a single harmful habit. Using this habit is more than senseless. It is self-destructive. You can end up playing into the hands of your employer and lose a ton of income by defaulting in this area. If you are one of those who suffer this setback, Dr. Goodman is going to rip the cloak off this income-busting habit and help you shed it once and for all. The good news is you don't have to change much to overcome it. The secret is contained in this simple statement: Same you, More Money! Same Activities, More Money! Same Talents, More Money! You'll learn the minor shifts you need to make to get you there. Never believe money is scarce! It's not, when you understand how to have money follow you, rather than your chasing money. Make these minor shifts, and your income position can and will change. Yes, there is plenty of money, no shortage whatsoever. If your company wanted to double your pay in the blink of an eye, it could do just that. If there was a shortage of cash, the firm could borrow. Your job is to get them to WANT to pay you bigger money. And I have a surprise for you. It is in their interest to do so. Better-paid people are happier; they're more stable, productive, healthier, and more reliable. Don't think for a second you can't get there. Your new mentor and teacher, Dr. Gary Goodman, is going to show you how. Do you sincerely want to be rich? This is a crucial question for you to answer. I know you're interested in getting paid far more than you're worth. This is why Nightingale-Conant is publishing this new release of real-world solutions to the age-old problem of developing wealth. MORE won't happen by itself. You are going to need to probe and understand your money habits? But mind you, this program is not about "attracting money." It's about specific strategies you can start using immediately that can help you earn the income you want. There's no "waiting for the universe" to get the job done. It's up to you to overcome your current limitations, and it's easier than you think. Don't succumb to the idea that you have to be perfect. If you do, you are fighting yourself. This is whittling down your sense of value before anyone outside has challenged it. If you are serious about becoming rich, Dr. Goodman will teach you that you don't have to become perfect to get a big raise. A breakthrough program designed to give you more income than you are worth! How the "5% Solution" is the lazy person's solution to earning an extra million dollars! The goodies in life are yours for the taking if you put things into the right context. As one pundit put it, "Get to Paradise, and Paradise will find a way to support you." If you want to earn far more than you're worth, or at least live a lifestyle that is the equivalent, you need to adopt and maintain the appropriate strategies. This program is filled with shortcuts you can take and sharp moves you can make. Dr. Goodman doesn't apologize for them. He is happy to share them, and I am confident that they will work for you. After all, why make earning a high income hard if it can be easy? One way or another, you can start earning the income you dream of if you stop dreaming and start acting! How to Get Paid Far More Than You Are Worth! gives you the guidelines you need. It's your time; let's get started. Dr. Gary S. Goodman is the bestselling author of 15 books and 10 audio programs. He teaches Best Practices in Negotiation at UC Berkeley and UCLA, the #1- and #2-rated public universities in the world. 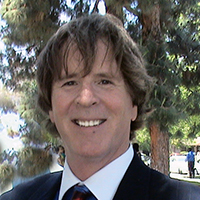 Gary Goodman is President of The Goodman Organization, Inc., Customersatisfaction.com, and Negotiationschool.com. Gary’s related publications include the books Six-Figure Consulting: How to Have a Great Second Career, Dr. Gary S. Goodman’s 77 Best Practices In Negotiation, and the audio program and forthcoming book The 40+ Entrepreneur: How to Start Your Own Successful Business After 40, 50, 60 and Beyond. Gary’s programs are lively, informative, and groundbreaking. His bestselling audios with Nightingale-Conant include The Law of Large Numbers and Crystal Clear Communication. I want to learn how to profit from my skills, knowledge, experience, and labor. How to Get Paid Far More Than You are Worth! for the special price below. I can select one of two ways of ordering.